Rig from the bottom up. 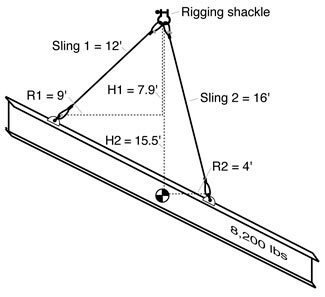 Select the correct rigging for the load below using the Master Rigger's Reference Card panels at the right. Answers can be found below.